 AGM Precision Machining is a division of AGM Container Controls, Inc. Located in Tucson, Arizona, AGM has been a proud supplier and service provider to the U.S. aerospace and defense industry since 1970. Now, the same machining services that have helped establish AGM products as a quality benchmark are available for contract to suppliers and manufacturers throughout the Southwest and U.S.
At AGM Precision Machining, we provide full-service support for any phase of your project. AGM engineers are available to help design or consult on your project. Our machine shop provides ±0.0005 of-an-inch tolerance for prototyping or full production. AGM’s part marking and shipping departments are available to see your project out the door, and you can rest assured that your project is the best it can be with AGM’s ISO9001/AS9100 certified QMS ensuring quality at every step of the way. Click a link below and discover where AGM Precision Machining can carry your project.